How much geekier can you get? I like it! Look what I got in the post! 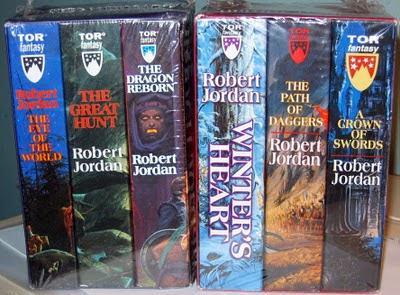 Yup, it's more Wheel of Time Box Sets. The one on the left is the first WoT box set and the one on the right is the third one. I'm gearing up to do a complete Wheel of Time re-read sometime in the future. It's been quite some time since I last read a WoT novel, so starting from scratch seems to be the best option. I think the picture speaks for itself. 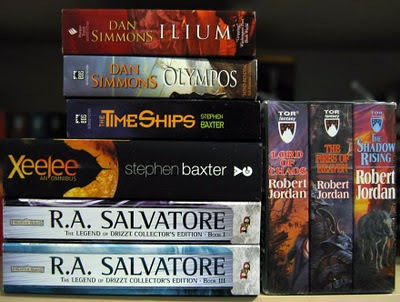 Once again I couldn't control my buying urge and I splurged on a few box sets and a couple of omnibus editions. 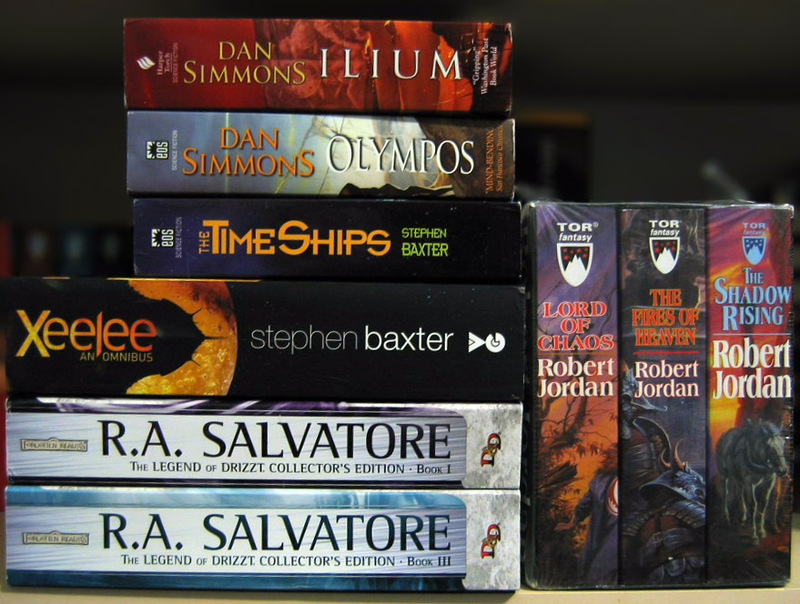 These are the books I've received so far from The Book Depository, and their service and prices have been great as always. The only thing that has me confused is that the local postal service has managed to mix up the delivery of the books. I've still got some books outstanding from an order that shipped on the 4th of January, but I've managed to receive one book that shipped on the 13th of January. It boggles the mind how they can manage to do that. Hopefully the rest of my order will arrive later this week. The Xeelee Omnibus looks absolutely gorgeous and the Drizzt Collector editions almost has the same feel as some IT textbooks I had to wade through during my studies. Luckily reading these will be MUCH more enjoyable. Living in South Africa we tend to be somewhat behind in certain areas, especially when it comes to technology. As a matter of interest I decided to see how the local ebook pricing compares with international sites. South Africa currently only has one major online site (Kalahari.net) selling ebooks and the selection they offer tend to be very sparse. Due to idiotic geographic restrictions most international sites don't allow South African buyers to purchase from them. It has become increasingly difficult to find sites willing to sell to us people at the tip of deep 'dark' Africa. The few exceptions are Amazon (for Kindle users), The Book Depository and a handful of others with steadily dwindling selections. For this comparison I used novels by Neal Asher. Surprisingly he was one of the very few science-fiction writers whose ebooks were available from the local site and to SA buyers on the other international sites. Local denotes Kalahari.net and BD denotes the Book Depository. All prices were converted to US dollars. It's not a pretty picture. In all cases the SA site is more expensive than the international sites. With older releases the local price is about $3 more expensive. The real shocker comes with newer releases (if you can call 2008 'newer'). Here it seems madness reigns with titles being double the price of international sites. I don't know why local pricing shows such a large discrepancy. Could it be due to outright profiteering or are there other factors at play? I thought agency pricing was a way of 'fixing' the ebook price so there's no competition amongst sellers. What I do know is that until this mess is cleared up or publishers decide to forego geographic restrictions I'll be sticking to physical books. At least with the good old printed version you can buy from wherever you want at the best price you can find - discounts on printed books are still allowed. Best of all - you don't have to suffer from any DRM restrictions. Once you have paid for your book you are free to lend it to friends, sell it, give it away or donate it to a worthy cause. I love the idea of ebooks, I own an ebook reader (a Cybook Opus) and I have bought many ebooks. Unfortunately after the 'Agency 5' fiasco it seems that publishers want to make it as difficult as possible for legitimate buyers to throw money at them using 'piracy' as a convenient excuse for all the restrictions. The last straw for me was being barred from buying ebooks I wanted due to my location and that ebook prices skyrocketed. Given the choice between a DRM infested file, limited selections and geographic restrictions I'll take the freedom of buying printed works. I'll be keeping my eye on the ebook world hoping that some common sense will return within my lifetime. In the beginning we were nine. We left when we were very young, almost too young to remember. Almost. And now . . .
We are here to keep our race alive, which was almost entirely obliterated. We're just trying to survive. But we are hunted, and the hunters won't stop until they've killed us all. I am Number Four. I know that I am next. 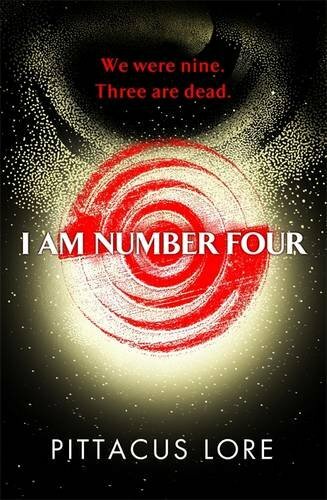 My copy of I am Number Four finally got delivered yesterday. I picked it up at an amazing price during the Exclusive Books Fire Sale, but they had supplier problems and couldn't get it to me any sooner. I had just finished Feast of Souls so decided to see what all the hype was about and managed to finish the book in about 8 hours of reading. It might be that this book is just aimed at a much younger audience, but I found it very predictable and filled with cliché after cliché. It doesn't really offer anything new and at times it felt like a slightly different rewrite of the "Roswell" TV series. I find it had to believe that the main character experiences love at first sight and within a couple of days he and the girl of his dreams (Sarah) are an item. A bit difficult to swallow. Not to mention the obligatory geeky outcast friend (Sam) and the rivalry with the football hero (Mark) who is also incidentally Sarah's ex-boyfriend. Sound familiar yet? There are quite a few holes in the plot. I won't mention them all, but one that stood out was how fast Number Four managed to get to grips with his newly found power of telekinesis. Yes, our alien friend also has superpowers! A couple of hours after developing the ability he manages to stop a flying bullet and saves the day. Mmmm... somewhat difficult to understand since his other power took him a couple of weeks to master. 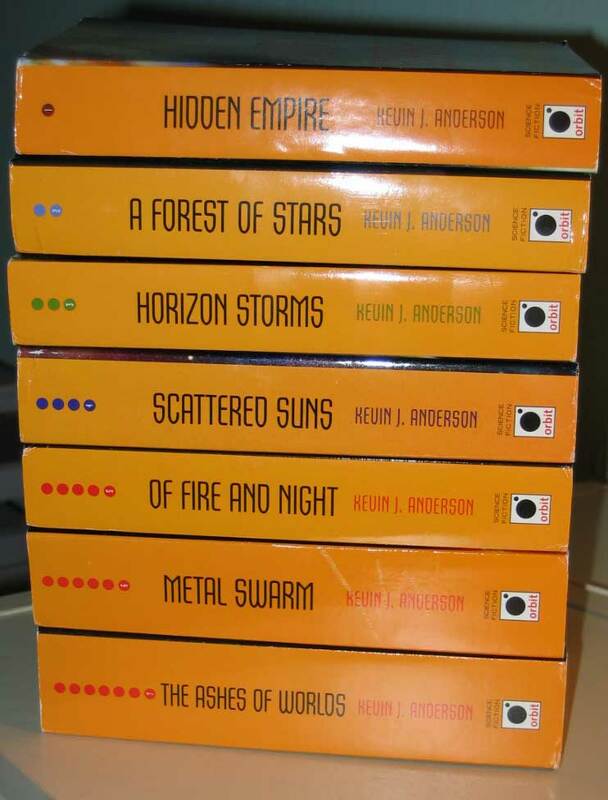 Another thing that bugs me is that the book was written/published in 2010 and in it he describes a poster of the solar system as "all nine planets and the Sun". Pluto has been demoted to dwarf planet since 2006 bringing the number of planets down to eight. A bit of research goes a long way! The action sequences are pretty good, but there is quite a Deus Ex Machina vibe to quite a few of them. Overall I was disappointed. I expected so much more from the book and it failed to deliver. In this case I think the forthcoming movie will be MUCH better than the book. I can only recommend this to someone who is new to science fiction and who wants to dip their toe into the genre. This is definitely aimed at teens and those very young at heart. At the end of her bestselling Coldfire Trilogy, C.S. Friedman challenged readers to imagine what a world would be like if sorcery required the ultimate sacrifice--that of life itself. Now, in a groundbreaking new fantasy novel, FEAST OF SOULS, she introduces us to a terrifying new world in which the cost of magic is just that--a world in which the fuel for sorcery is the very fire of the human spirit, and those who hunger for magical power must pay for it with their lives. In this epic tale of terrifying shadows and desperate hope, the greatest threat of all may not be that of ancient enemies returned, or ancient wars resumed, but of the darkness that lies within the hearts of men. 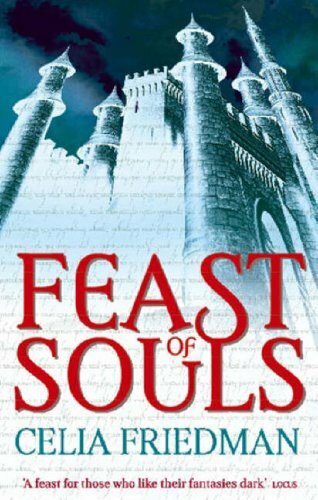 I came across Feast of Souls while frantically searching my local library for something I haven't read yet. The cover looked intriguing and the promise of a 'dark fantasy' clenched the deal. Having never read anything by Friedman I didn't know what to expect. I was pleasantly suprised. Her style reminds me of the dark twist that Brent Weeks gives his main characters. The most interesting part is how she creates a world where magic is fueled by soul energy. For each magical act the caster has to give up a bit of their life or, in the case of Magisters, that of their consorts. There are no clear-cut heroes and the almost vampiric relationship between Magister and consort is something that makes you consider the morality of each character and the world they reside in. I blew through the 582 pages within two days wanting to see how things turn out. While this is the first novel in a trilogy the ending provides enough closure to satisfy while at the same time making you yearn for more. This is epic fantasy at it's best and I can't wait to get hold of the rest of the books in the trilogy. The second novel is already available, but the third is still a work in progress. I'll definitely be on the lookout for more of Celia Friedman's work. If you like fantasy with a dark twist then this is definitely a novel to add to your reading list! My reading group has a A-Z Book challenge running at the moment (actually a few of them!). The aim of this particular challenge is to read a book whose title corresponds with the letters of the alphabet. 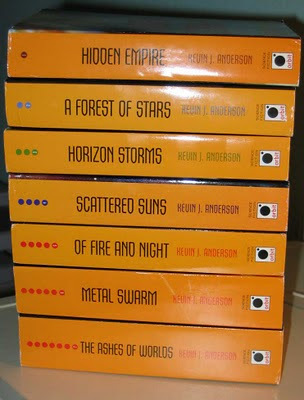 In December I ordered the complete "Saga of Seven Suns" by Kevin J Anderson from The Book Depository. I received all the books except the third one by 28 December. After waiting an extra couple of weeks I finally gave up hope and reported the book as lost in the post. The Book Depository was quick to start the process of sending me a replacement without any fuss. Thanks for the excellent service guys! To my utmost surprise I woke up today to find that the missing book had finally arrived. I guess it must have had other plans over the Christmas season and after having untold adventures (and misadventures) of its own, it had finally decided to come home. I'm looking forward to reading the series. At around 600 pages each they are bound to keep me busy for quite some time! Today I had some extra time and decided to try finishing up the bookmarks I didn't get round to including for the actual competition. These are bookmarks for Neal Asher's novels - Gridlinked, Brass Man, The Technician, The Gabble and The Voyage of the Sable Keech. The bookmarks are suitable for printing on A4 paper. The other bookmarks are available over here. 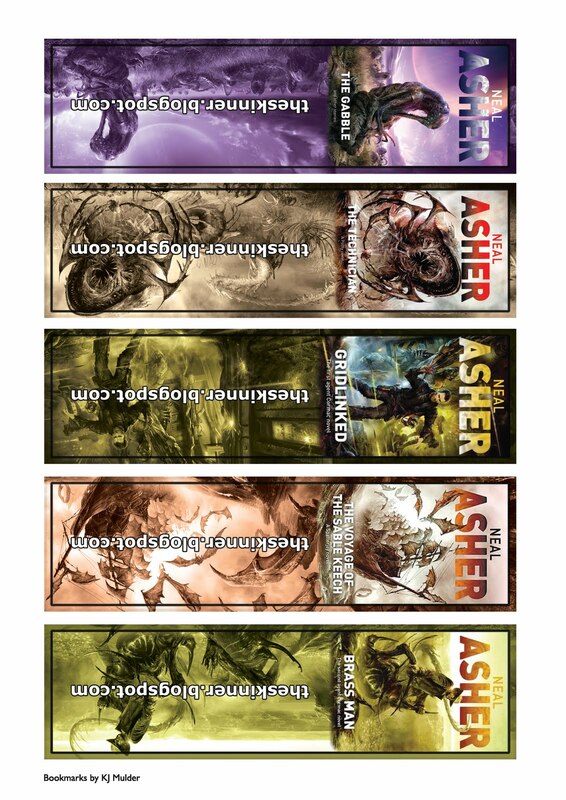 So if you print them all you should have a nearly complete set to go with your Asher novels. If you like them let me know or send me a link to a pic of you actually making use of them. While exploring a long forgotten data archive an expedition of archaeologist programmers, the Straumli Realm, unwittingly unleash an ancient menace with the potential of enslaving the whole galaxy. In an effort to escape from this evil a small group of survivors flee on a cargo ship and get stranded on a medieval-level world inhabited by dog-like inhabitants (the Tines). The Tines attack them shortly after their arrival leaving only two survivors, a pair of children. Unbeknown to them their ship contains the only countermeasure against the Blight. Responding to the stranded ship’s distress beacon, a rescue mission races against time to save the children and recover the countermeasure. It’s seldom that I come across a novel that simply blows me away and in this case saying it blew me away would be an understatement. 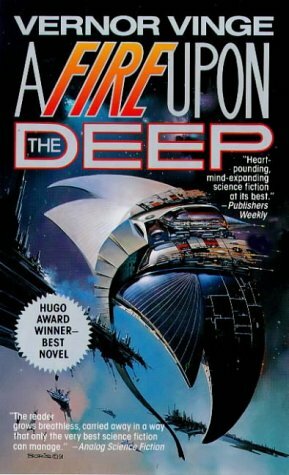 There’s a reason that A Fire Upon The Deep won a Hugo Award for best novel in 1993. It’s an amazing space opera that had me hooked from the start. I couldn't put it down and blew through the 613 pages in less than two days. Vernor Vinge offers a unique twist on physics. In the universe of A Fire Upon The Deep the galaxy is separated into different Zones. Each Zone allows for the existence of an increasingly complex level of technology and sentience. Civilizations progress from the lowest level until they reach the outer Zones where they can finally Transcend. I found this concept very interesting and it is used to great effect in the novel. What really got me hooked though were the Tines and their pack-minds. Somewhat like the Borg, a Tine consciousness consists of a pack of individual members sharing their thoughts using ultrahigh frequency sound. These packs range in size and the number and disposition of the members influences the characteristics of the individual consciousness. The world is well thought-out and gripping. The characters are vivid and endearing and will have you rooting for them. The novel brings many captivating concepts together and meshes them into a riveting story that has it all. I highly recommend A Fire Upon The Deep. After reading it Vernor Vinge is now one of my favourite science fiction authors. I will definitely be reading more of his work.